Wow, that's a great photo! I'm definitely checking this out on my return visit! Great alley shot. 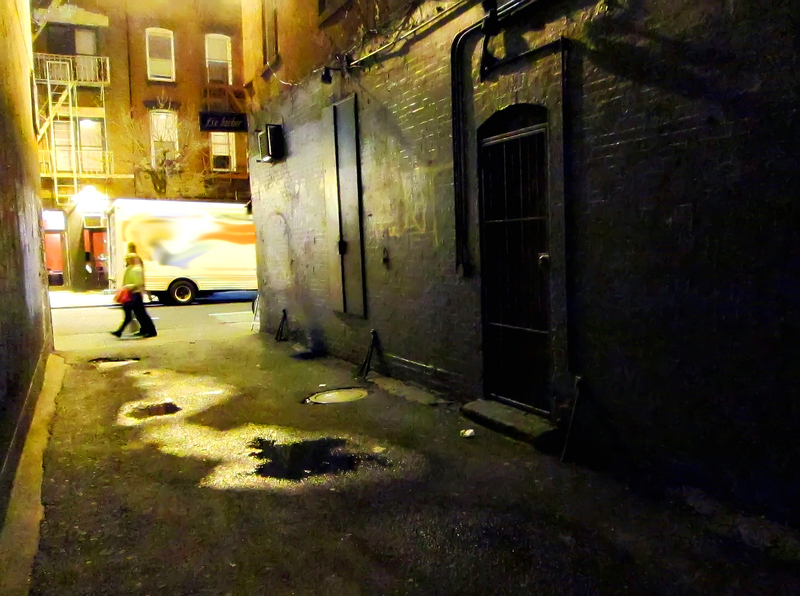 I'm a frequenter of alleys & dark little streets myself! I remember when this alley was not a good place. It kind of amazes me to see so many people coming and going through it now. For a long time, I didn't know there was a restaurant at the back - I couldn't figure out why so many people went into the alley, but never came back out, lol.